Whether you’re a religious person or not, visiting the churches of Porto is an excellent way of getting to know not only the most important moments of Portuguese history, but also the evolution of architectural styles. Clérigos church and tower was, for many decades, the most famous monument in Porto. Its location, on an uneven street, lead the Italian architect Nicolau Nasoni to create a rather unusual church, with a single tower. This architectural eccentricity is indeed the reason why Clérigos church and tower became so famous! From the top of the Clérigos tower you have a fabulous 360º view over the city. You can buy the online ticket here, but I must warn you that it will not save you no time, as you still need to go to the queue and show the online ticket at the ticket office (I know, it doesn’t make much sense…). Best time to visit Clérigos church and tower: either at 11am (you can climb the tower and then watch a pipe organ concert inside the church – it’s magnificent!) or at 6pm (the sunset light is great to take panoramic pictures of Porto from the top of the tower). 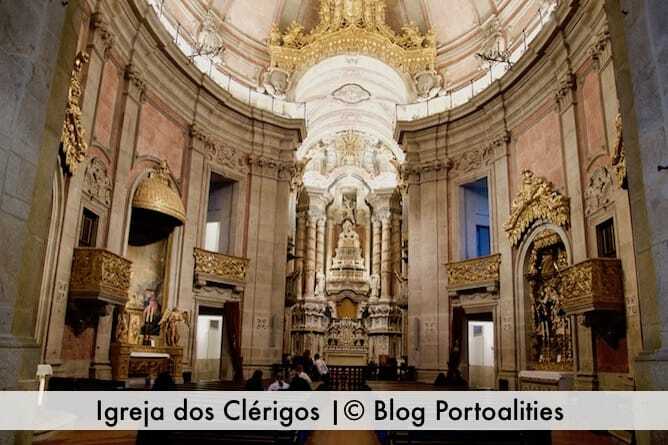 How to get to there: the Clérigos church and tower is 10min walking distance from the train & subway station São Bento. You can also take trams 18 or 22. 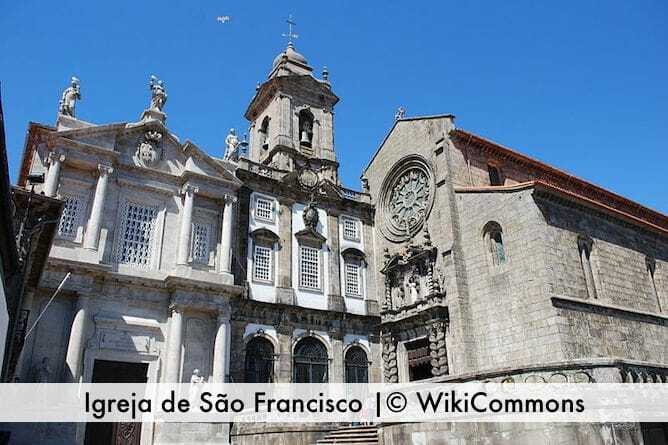 What I truly admire in Church of São Francisco is that it combines two architectural styles: Gothic (for instance, on the rose window on the main facade) and Baroque (for example, on the altarpiece). 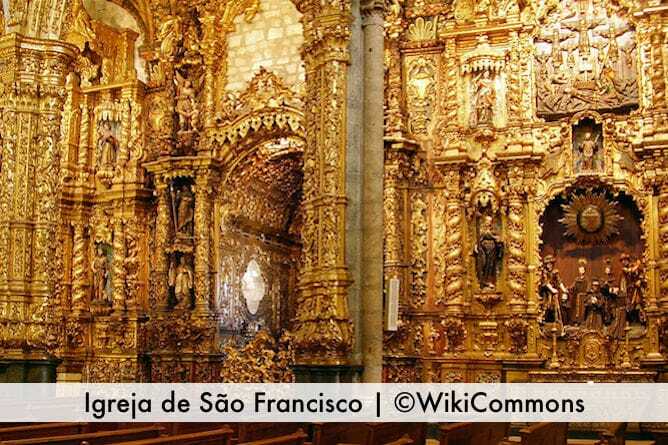 During the eighteenth century the interior of the Church of São Francisco was decorated with golden gilt wood work, making this not only one of the most beautiful churches in Porto but also one of the greatest examples of this type of Baroque decoration in Portugal. 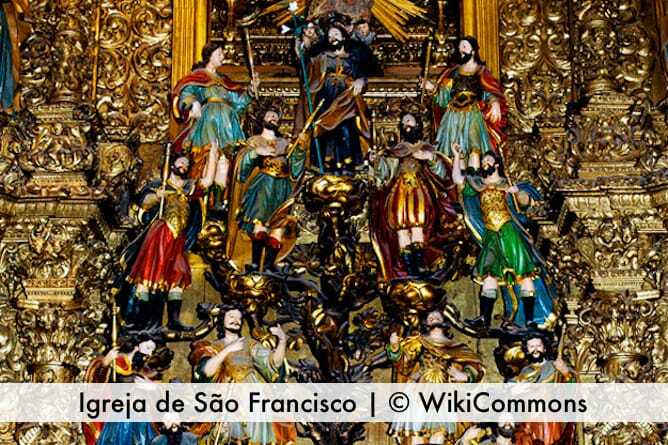 Tickets: The ticket to visit the Church of São Francisco costs 4,5€ and you can only buy it on the spot. 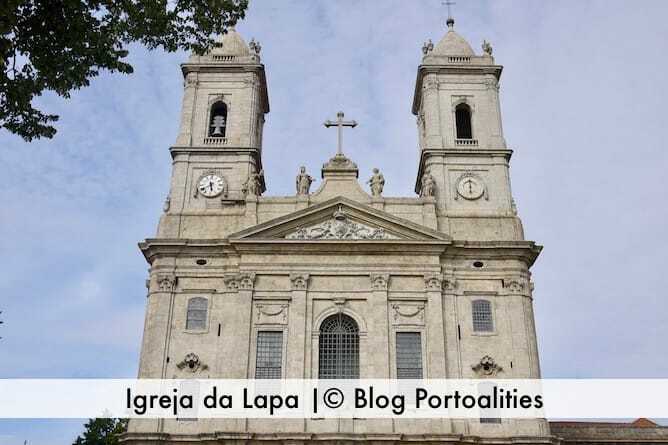 How to get to the Church of São Francisco: It’s extremely hard to park close by, so I recommend you to walk from the train & subway station São Bento. 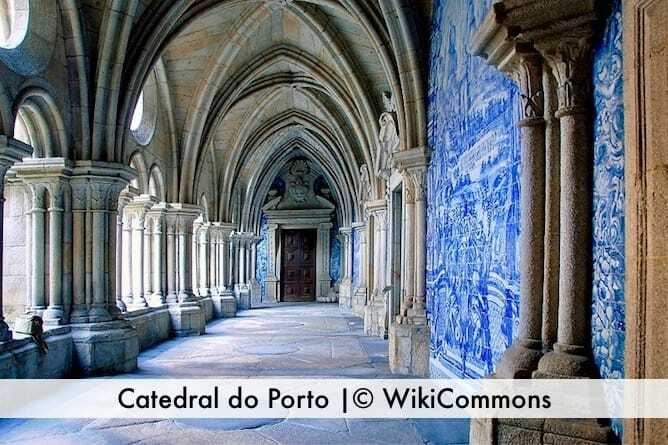 The Cathedral is one of the oldest churches in Porto, dating from the twelfth century, and it harmoniously combines both Romanesque, Gothic and Baroque style. It is surrounded by narrow streets that go all the way to the Douro river, such as the famous Dark Street. The Cathedral of Porto is not only one of the best viewpoints of the city, but also a great starting point for your day, as it has a tourist center right in front of it. 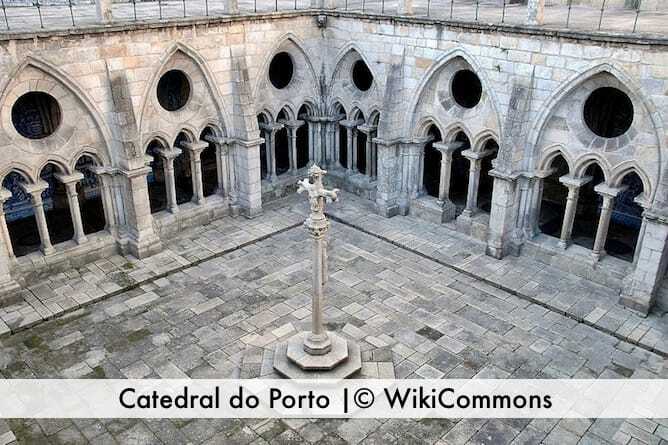 Tickets: Free entrance to the Cathedral of Porto. The ticket to visit the cloisters and the museum costs 3€ and you can only buy it on the spot. 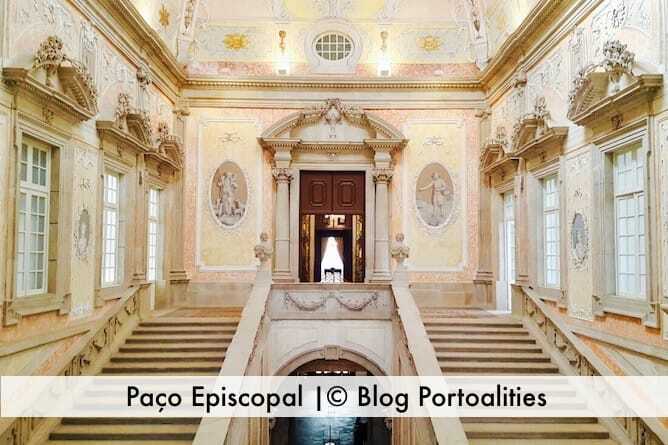 How to get to the Cathedral of Porto: it’s 5min walking distance from the train & subway station São Bento. 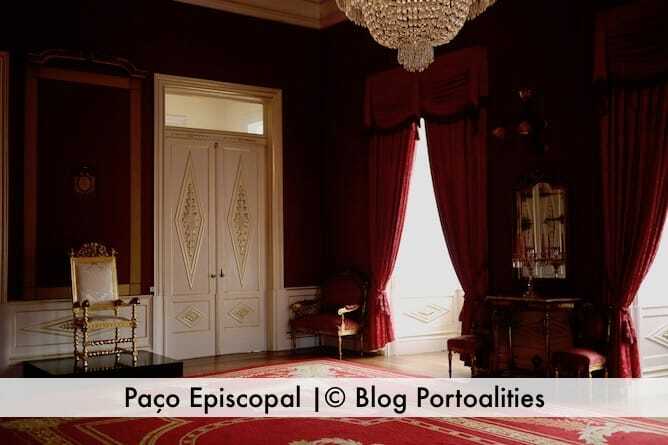 If you visit the Cathedral of Porto do not miss the opportunity to visit Paço Episcopal, which is the Bishop House. It opened quite recently to the public and it is truly something else, and you can see from the pictures above. Tickets: The ticket to Paço Episcopal costs 5€ and you can only buy it on the spot. The Church of Santa Clara is one of those places that you feel extremely fortunate to stumble upon. Its discrete Gothic facade hides an interior extensively decorated in golden gilded wood work. 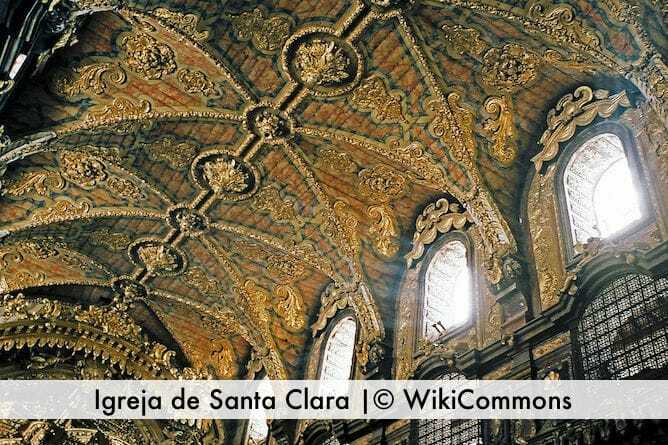 The Church of Santa Clara is truly breathtaking and it surely deserves to be on this list of the most beautiful churches in Porto! 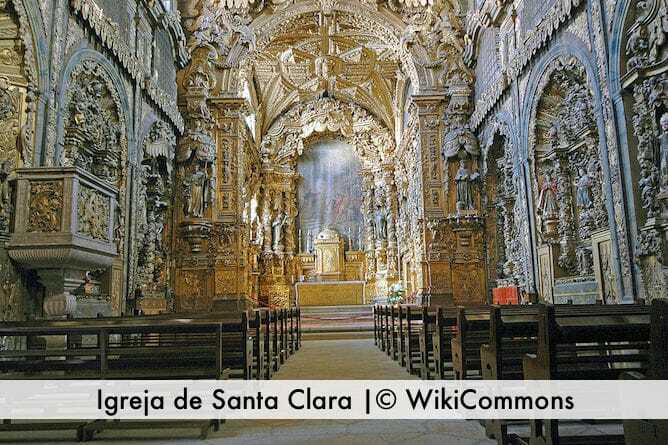 Tickets: Free entrance to the Church of Santa Clara. The renovation work to restore this beautiful church are going to start soon, so hurry up! How to get to the Church of Santa Clara: it’s 5min walking distance from the train & subway station São Bento and 2 min away from the Cathedral of Porto. Probably you already noticed that what drives me to monuments is not only its architectural value but the hidden stories behind them. 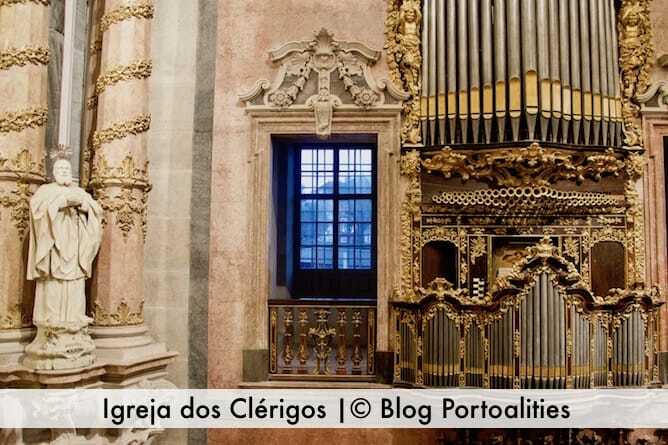 Therefore, the Church of Lapa is, in my opinion, one of the most beautiful churches in Porto because on its inside you can find the heart of the honourable King Pedro IV. You may never heard of him but he was the man who fought, during the Portuguese civil war, against his own brother Miguel, in order to have a Constitutional monarchy. Because of the civil war, Porto was surrounded by a siege for almost two years without ever surrendering – which is why, among other things, Pedro IV decided to donate his heart to the city. 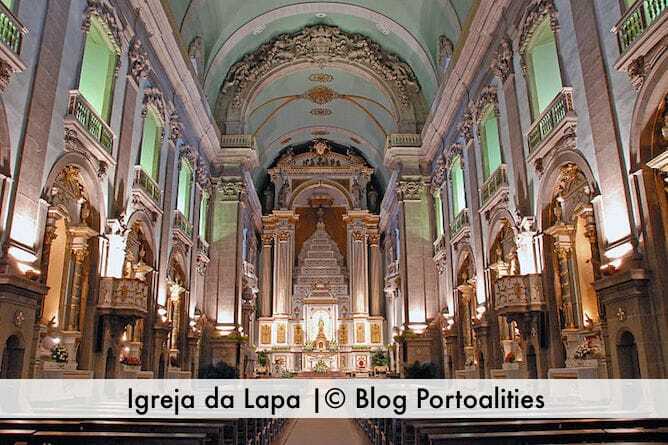 How to get to the Church of Lapa: it’s 10 min walking distance from the subway station Lapa. 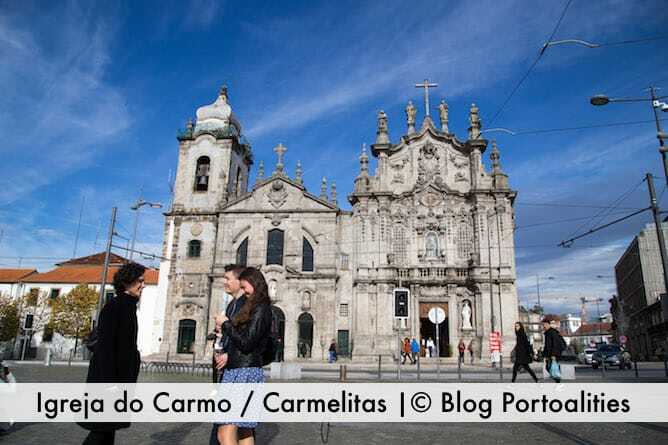 It’s impossible to talk about the Church of Carmelitas and the Church of Carmo separately as these two churches are side by side. 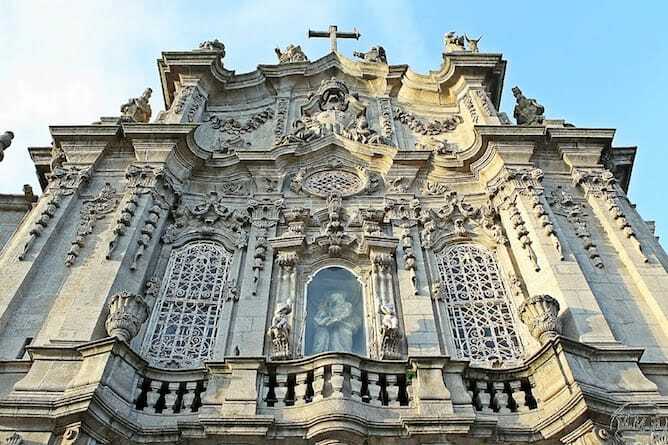 They are both rather unique in style though: the Church of Carmelitas dates from the seventeenth century and has a magnificent rococo altarpiece, whereas the Church of Carmelitas, from the eighteenth century, is a great example of Baroque architecture. These are definitely some of the most beautiful churches in Porto! Something great about these two churches is its premium location, in between the nightlife district of Porto and the trendy neighborhood of Cedofeita. 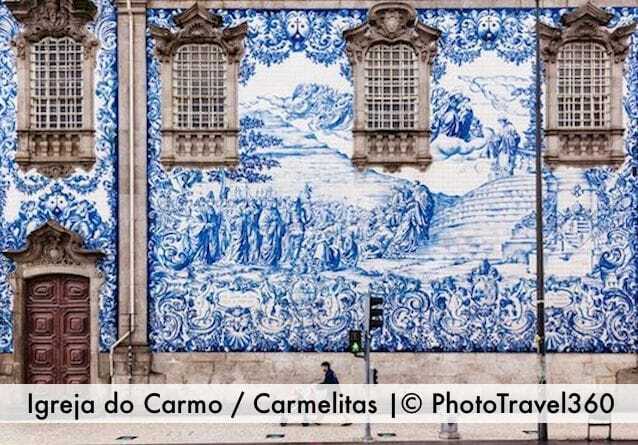 Tickets: Free entrance to both the Church of Carmelitas and to the Church of Carmo. 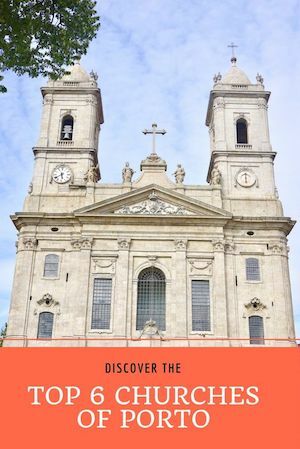 How to get to these churches: it’s 15min walking distance from the subway stations Lapa and São Bento. There are also several buses stopping by. Join a private tour in Porto with me! The best way to get to discover Porto is to join me on a private tour! 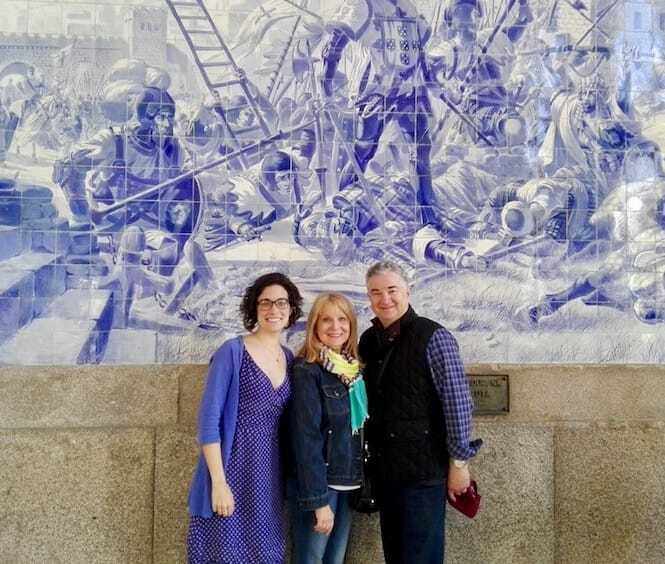 To know more about my private tours in Porto, simply send an email to sara@portoalities.com telling me the dates you’ll be in Porto, and what would you like to see & do. You can also read the feedback of people who took a tour with me here.